Smoking is many different things to many different people - a hobby, a pastime, a stress reliever, a crucial part of culture and tradition. With such a wide variety of meaning, varying levels symbolism, and different intentions put onto the act of smoking, one cannot deny that this is, and will forever be, part of human life. However, it has been long and widely known that smoking is detrimental and overall harmful to the human body ever since extensive studies have been done on it. With the all demands and stress brought about by the ever-changing modern world, one cannot be bothered being ill due to these substances - thus the development of a safer way to smoke: e-cigarettes. Since its introduction to the market in the early 2000’s, electronic smoking aka vaping and its many apparatuses and vaporizers have been a big hit not only to the smoking fans and masses, but also to the people who have been interested in smoking but does not fancy playing with the different harmful compounds and byproducts that are not, in any way, beneficial to the body. It also has taken different forms that service to different cultures and different people. Such is the e-hookah, a device that is the electronic rendering of the iconic traditional hookah. Traditional hookah is an interesting device as it uses water to filter the smoke made from burning the base, providing an interesting flavor and experience to people. However, even with the promise of a really good, interesting smoking session, traditional hookah smoking is considered exceptionally harmful to the smoker - not only because of the different harmful compounds that come along with the combustion of the organic material to produce smoke, but also because the device’s water filter does not (and cannot) filter much of bad and deadly compounds in the smoke. With the e-hookah, one can now experience the hookah smoking without cutting your lifespan in half. An e-hookah is basically an electronic rendering of the hookah, a traditional smoking device and technique that is founded and is widespread in the Middle east, but with a few interesting tweaks and varieties. Just like its traditional counterpart, this device allows its user to puff, in this case, vapor. Instead of burning different herbs and what not, e-Hookahs use and vaporize a specially infused solution of flavorings, propylene glycol (PG) and vegetable glycerin (VG). This liquid (aptly called the ‘e-liquid’), as you will read further down this article, is a way healthier option and somewhat more flexible, versatile, and customizable. There are three recognizable varieties of the e-Hookah: the pen, the pipe, and the disposable. Out of these three, the most recognizable is the e-Hookah pen, which is the most compact, and the most ‘normal’ looking one. 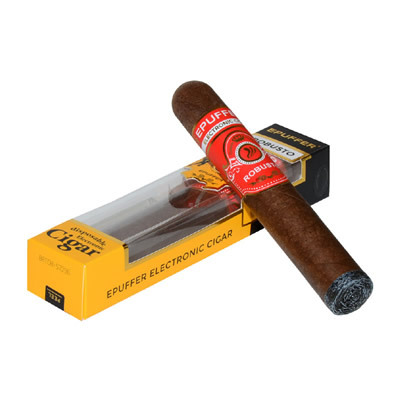 e-Hookah pens highly look and structured like your normal e-cigarette (and in turn, a traditional rolled-tobacco cigarette), but is distinguished due to its outer shell that is usually designed with many vibrant colors, almost giving it a psychedelic look. Such look is one of the main differences, and considered con. This e-Hookah variety is usually powered by a rechargeable battery, assuring you of making the most out of your unit. A more traditional version of the e-Hookah is the e-Hookah pipe, an e-hookah which is patterned after the traditional hookah. However, unlike the traditional one, e-Hookah pipes are do not burn anything and instead burn e-liquid to provide puffable vapors. This device is not for people who are on the go, and are instead highly popular in the collector part of the vaping hobby. This also has been a popular alternative in hookah bars, as will be discussed in the latter topics. Running on a tight budget? A disposable e-Hookah is your perfect choice! 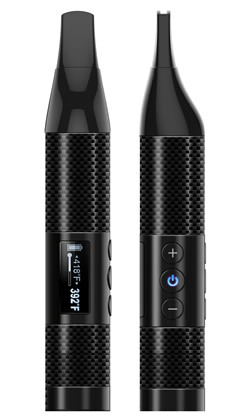 This e-Hookah variety is technically the same as the e-Hookah pen, but without the rechargeable batteries. These kinds of units can give you an impressive 300-500 puffs, which is roughly equivalent to two packs of traditional cigarettes. This is priced considerably lower than the other two varieties considering that its batteries are not rechargeable. Some have cited that these disposable are perfect for trips wherein you don’t want to bring your prized e-hookah investment. The variety in the e-hookah collection is enough to satisfy your needs and want, whatever kind of electronic smoker, vaper you are. Before we can even discuss the history of the e-hookah, it is very important that we discuss and understand the traditional versions of these electronic smokers. The hookah (which can also be called as a water pipe) is a native smoking apparatus, and in some ways technique, that has originated and developed in the Middle East. The devices burns its base (which can be anything - tobacco, cannabis, and the like - mixed with sweeteners and other additives) at the top of the device, and filters the smoke through water at its base (thus, the water pipe name). This makes the smoke coming from it not as bad (actually, much better!) than the smoke coming from traditional smoking. More than being a pastime, hookah smoking has been part of the culture and traditions in the places it originated in. However, this type of smoking has been greatly criticized because of their off-the-chart harmful byproduct that is in its smokes. Normal tobacco-rolled cigarettes have filters that are connected to them, so that compounds that come with burning tobacco can somewhat be filtered. Hookah uses water for this, and to say the least, it is very ineffective. Hookah smoking is considered to be very harmful, not only to the one smoking it, but to the people around him as well. With such cultural integration and importance, impressive structure, and very, very bad bodily effects, it is a curiosity as to why an electronic version of this has been developed, made, and widely produced only recently. The electronic hookah is a fairly new development in the family of electronic smoking devices - they have only existed and piqued the interest of the smoking masses in 2012, unlike how electronic cigarettes’ popularity have skyrocketed in the early 2000’s. Many could say that the force behind this development is caused by various factors, such as the shift of perspective to favor health, and the immense popularity of hookah bars, a place wherein hookahs are available to be smoked, across the world. Through these two factors, a demand for an alternative way - the e-hookah - to enjoy the hobby without risking the health and life is at an all-time high. How does an e-Hookah differ from other vaporizers? e-Hookahs are generally the same as other vaporizers that exist in the market right now: they “boil” (well, technically) the e-liquid to produce the vapor that one leisurely puffs. Some sources say that e-Hookahs are specifically marketed as electronic smoking devices that do not contain any nicotine and thus better choice for people who are trying to recover or avoid all together a dangerous addiction to nicotine. It is interesting to note, however, that some manufacturers produce e-liquids for e-hookahs that contain a certain amount of nicotine in it. This just shows how the versatile, flexible and overall customizable the different parts of this electronic hookah are. How does an e-Hookah work? As discussed in the earlier questions, the term ‘e-Hookah’ could mean a variety of different versions of e-Hookah products, and each of them work a tad bit different than the other. An e-Hookah pen, both the rechargeable and the disposable ones, work just the same as how an ordinary unit of e-cigarette would work: the e-liquid is vaporized just as the smoker puffs from the mouthpiece. The e-hookah head, on the other hand, is used a bit different from the two. 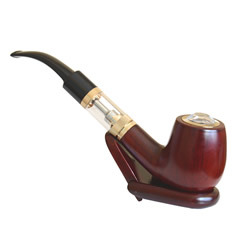 An e-hookah pipe head is filled with the e-liquid and is screwed into the head of a traditional hookah structure and you are ready to take you vapor puff! Criticism of the Electric Hookah: Is it founded? No matter how the idea of a smokeless, less dangerous hookah smoking is very appealing to the ear, electronic hookahs have garnered and attracted many criticisms from many aspects of society. Very concerned citizens have remarked that the designs for these units, especially those of the electric hookah pens, are especially deceptive as they do not really look like cigarettes, unlike every other smoking device which shouts cigarettes, only electronic. They say that this aesthetics can fool the young ones into thinking that it is only a toy. Another interesting negative (well, supposedly) review on these electronic hookahs is how it is especially easy to transition from these nicotine-less electronic smoking to a full-blown nicotine addiction. Normally, people would see this as a way to progress against addiction to smoking and nicotine, but it can possibly - and easily, as they say - go the other way. These points, issues, and somewhat fears, though can be understood, can easily be rebuked upon deeper analysis of the situation. With proper labelling, apt knowledge, and informed decision, wrong choices can be avoided. Will also plays a very large part of the way one goes through in overcoming nicotine addiction, so going one way or the other is definitely dictated by the user himself. Is e-Hookah the better choice? e-Hookahs can be considered the better choice, whether you pit it against its traditional counterpart, or to other vaporizers available in the market. Picking an electronic hookah over a traditional hookah is quite an easy decision to make: an e-hookah would not have even a fraction of what harm a traditional hookah can do to you and your body. It does not have the tar and the toxins brought about by the burning of the tobacco. e-Hookahs also does not have the bad smell that traditional rolled-tobacco have when you smoke it. e-Hookahs also give you the freedom to smoke anywhere - e-Hookahs are not restricted, so you can say goodbye to only smoking in certain areas. Smoking hookahs electronically also helps you avoid nasty and unattractive mouth and dental problems, such as gum swelling, foul breath, and stained teeth. If you are of the adventurous kind, e-Hookahs also provide you of many fun, interesting, and sometimes downright bizarre flavors that will definitely tickle you and your taste buds. When compared against vaporizers, however, the difference is reduced to style and preference. Since all of these devices work by vaporizing e-liquid, converting it into puffable vapors, you can say that e-Hookahs are the better choice primarily because the e-liquid it uses do not contain any nicotine or tobacco. It highly prevents going back to nicotine addiction, and promotes healthier smoking habits to people who find the act as vital to their stress relief methods, or the like. The perfect e-Hookah can only be acquired if one is well-read, well-informed, and well-acquainted with what his preferences are. Here are a few tips that can guide to into making the right - the perfect - e-liquid for you. Get to know the battery, and the puffs you can get out of it. The first step in making the right decision as to which e-hookah unit you need to purchase is knowing the battery capacity of the unit that you are eyeing, and how many puffs, even if it is still in theory, it can give you. This is one of the most vital part of choosing the perfect e-Hookah as it determines how long you’ll use the item. No one wants an e-hookah unit that would only give you a measly amount of puff on a single charge. You can justify a unit’s price with this as a standard. 2. Get a unit from a manufacturer that impresses you with their flavor offerings. One of the main pros of smoking an electronic hookah is the wide variety of flavors that are available for you to vape and enjoy - that is why you should go for a unit made by a manufacturer that offers different flavors for your unit that you know you will enjoy. Look producers up that will satisfy and tickle your taste buds and imagination! 3. Find the perfect ergonomics. Getting a vaping unit, especially an e-hookah one, is especially tricky. Such a device is an investment, and you must remember that you will be with that device throughout its life, or until you get the money for your next electronic hookah. You must consider the following points: is it easy to hold? Would it be uncomfortable in the hand if I use it for an extended period of time? Are its controls easy to understand, and more importantly easy to press? Does it have buttons? Are the controls going to light up when I decide to vape in a room that is not exactly well lit? These are the points that I suggest you ponder on when making an e-hookah purchase. You must also take into consideration the aesthetics of the unit that you will buy. Do you like the color? Do you mind the rubber details incorporated on the unit? Is steel too harsh for your style? Again, you will deal with your unit until you get a new one. 4. Buy from a trusted brand. Brand, no matter how much people dismiss it as ‘just the name’, is a still a point to consider (and a very important one at that) when making your very important electronic hookah decision. Buying from obscure manufacturers exposes you to the dangers of low-quality materials, improperly wired internals, deceptive specifications, and the like. A well-known, trusted, and multi-awarded brand will save you from all these unnecessary hassles and cons. Also, such established companies will also have ample customer service that will make you feel confident that whatever may happen to your device will easily be fixed by in-house solution agents. Look for different reviews of the products and its quality, the customer service, and the different accessories that they offer for your unit to further improve its performance. An investment indeed. 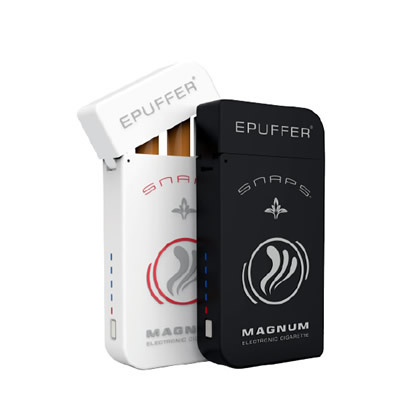 ePuffer, a company that has been making different high-quality vaporizers, e-liquids, and many other vaping accessories for 9 years now (the longest any company has been making things that are connected to vaping) offers a lot of exciting, and customizable e-liquids and disposable e-hookahs for e-hookahs for all the electronic smokers who love their hookah alternative. ePuffer offers disposable e-hookahs in nice and refreshing fruit cocktail flavors such as watermelon sangria, double appletini, raspberry mint mojito, and strawberry margarita! e-Liquids which will make your taste buds go wow is also offered in caramel mocha latte, blackcurrant cassis, grape, pineapple, sangria, strawberry, and cherry flavors! All of these flavors are made with 60% pharma-grade propylene glycol (PG) and 40% pharma-grade vegetable glycerin (VG), guaranteeing you of the best vape clouds that you can imagine. All of these e-liquids can be ordered with varying levels of nicotine content - in 2.4%, which will give your e-liquid 1.2 mg of nicotine; 1,2%, which will give your e-liquid 0.6 mg of nicotine, and; 0%, which will have no trace of nicotine. By having a flavor ratio of 40%, you will definitely taste the flavor seeping in your taste buds! All of these are made with top-grade ingredients, which are safe for everyone!